In the Yoga Sutras (an ancient and foundational text of Yoga) Patanjali describes the purpose of Yoga, that which is to cultivate stillness in the mind. In this space of clarity we begin to find our inner guide, that special voice that reminds us of our purpose. The internal compass that allows us to traverse through the landscape of life with a certain quality of confidence, ease, and resilience. Finding this space is worthy of our journey but along the path in very simple terms ‘life gets in the way’. With the intention to share what has worked for me, here are three areas that I’ve found helpful in cultivating my inner guide. 1) Allow for space. Our inner guide is most essential during times of stress, challenge, and frustration. But it is during these moments that thoughts and fears most often take over as the mind is tightening up. When we become aware of this pattern it is helpful to simply give it space. As opposed to letting the water continue to boil, give yourself permission to “walk away” for some time. I have found that when we are able to create this gap between the stress and our reaction, we are better able to find creativity and resolve that which has come up. 2) Acceptance. When we find ourselves going against the current of our life we can spend energy attempting to control and change the situations in our lives. In the opposite, as we accept and find flow we can tap into a surplus of energy (that which was once used to swim against the current). As a result our body, mind, and soul are replenished creating a healthier environment for our inner guide to more efficiently rise up. 3) Practice. We have to cultivate our inner guide to allow for it to come to life. We plant the seeds by reminding ourselves of our purpose. We water and nurture by building awareness of the tendencies of our mind. We begin to find small changes in our responses and behavior. With this daily practice we begin to see development and growth. We begin to notice a deep desire to center ourselves. Our inner guide begins to dive into our life. It is a remarkable experience when we realize our inner guide is automatically and consistently given us advice. It is a gift of all gifts, one that we can only give to ourselves. My wish is that we all take time to focus in this area of our lives. I have had several conversations lately with friends who are interested in coming to our studio and giving yoga a try. They have heard all the wonderful benefits we receive and are intrigued. Lose weight? Get in shape? Reduce stress? A consistent yoga practice can be the answer. You get a physical work out, gain muscle strength and flexibility AND let go of pounds, stress and anxiety. But many newbies are hesitant and feel intimidated by the photos they see in magazines of bendy young girls contorting themselves into poses that almost look unnatural. The first class is hard for most of us, I won’t lie to you, but the good news is that we only take our very first yoga class once! Here are 9 tips that I would like for you, the newbie, to know and for those of you who are yoga teachers or practitioners already that are asked about starting yoga. 1. Wear comfortably fitted and not too baggy clothes! You do not want your favorite team’s t-shirt to end up around your neck during your first Down dog. Embarrassing and you can’t see. 2. Don’t eat within 2 hours of class but hydrate! Make sure that you are not coming in on a completely empty stomach, but also not full, so you have no surprises during your twists and do not feel like you are carrying around a boulder in your belly. Drinking water before practice is better than during, if we drink when we are thirsty, we are already dehydrated, plus the concentration can get disrupted. 3.If you have a yoga mat, bring it with you, but many studios offer one for you to rent or to borrow. We all clean the mats, but its nice to have your own. If you are not sure if you would like to invest, just use the studios until you are sure that this yoga thing works for you. 4. Being flexible is NOT a prerequisite to practice yoga! You get flexible by practicing yoga. The same true for being strong and being lean. You will notice amazing difference in your body, we all start where we are today and go from there. 5. You do get used to the heat! 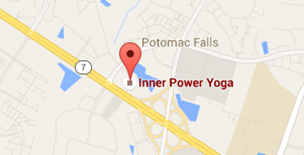 At IPY, we keep the temperature between 85-90 degrees which we fee is optimal for vinyasa yoga. There are so many benefits of practicing in a warm environment, and unless someone has a medical condition, after a while you can’t imagine doing yoga in the cold. 6. Leave your phone behind! Turn it off in the Reception area, better yet leave it in your car, so you can disconnect from the outside world and reconnect with yourself. Plus it’s disrespectful towards your teacher and fellow students if you forget to turn it off, especially if your ring tone is the wildest version of “Gangham style” and someone wants to reach you during Savasana. Not cool. 7. Let your fellow, more experienced students, students in class to inspire you and not to intimidate you! Despite what you might think or have heard, yoga is not a competition. We do not have mirrors in the studio for that very reason, we would not want our students to judge themselves and feel inferior or superior to others. I do not even know which would be worse. This is your safe place, no score cards are given. Ever. 8. Listen to your body and take Childs Pose whenever you need it! You know yourself best, and you are your best teacher. Even for those of us who have been doing yoga for years, some practices are difficult, and we take rest. Now that does not mean checking out completely and planning your evening out with friends while checking out the latest lulu lemon top on your friend next to you. It means to breathe deeper, wait until your heart beat quiets down, and rejoin the class when you are ready. 9. Finally, your first class can be overwhelming! Don’t give up, it gets better and less confusing every time you step on the mat. The girl up front who can do crazy poses you can only dream of? She might have started out just like you, but many years ago, and worked very hard to be able to balance on her hands and lifting her legs in all different directions. If it’s feasible for you, inquire about taking a few private lessons from an experienced teacher. With practice and patience, you will be the girl/guy up front who will inspire newcomers to give this yoga thing a try! This is by no means complete, just my initial thoughts to those of you who are starting out on this very rewarding and life changing journey. Any questions or comments you have, please send them my way! My hope is that you do decide to come to class and not just plan on it, and that your first class is first of many and not the last.